Holds 4 Jumbo Cupcakes in a 8 x 8 x 4 inch Cupcake Box. A jumbo packs a lot of cake into one treat, but even so, sometimes one is not enough. 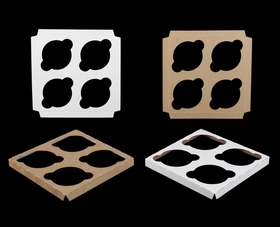 Our line of 4 count jumbo cupcake holders and boxes was created upon customer request. These holders, paired with our offering of jumbo cupcake boxes, make for a great presentation and method of transportation. The gravitational pull of jumbo cupcakes makes them want to smash into one another. 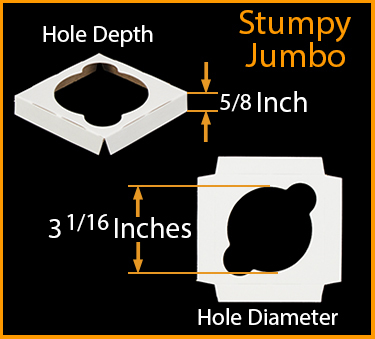 Get these four count jumbo inserts and keep this powerful force of the jumbo cupcake universe in check. The holder keeps your mighty cakes equidistant and exquisitely separate. Set up these holders brown-side-up when coupled with our Natural Brown Cupcake Boxes. 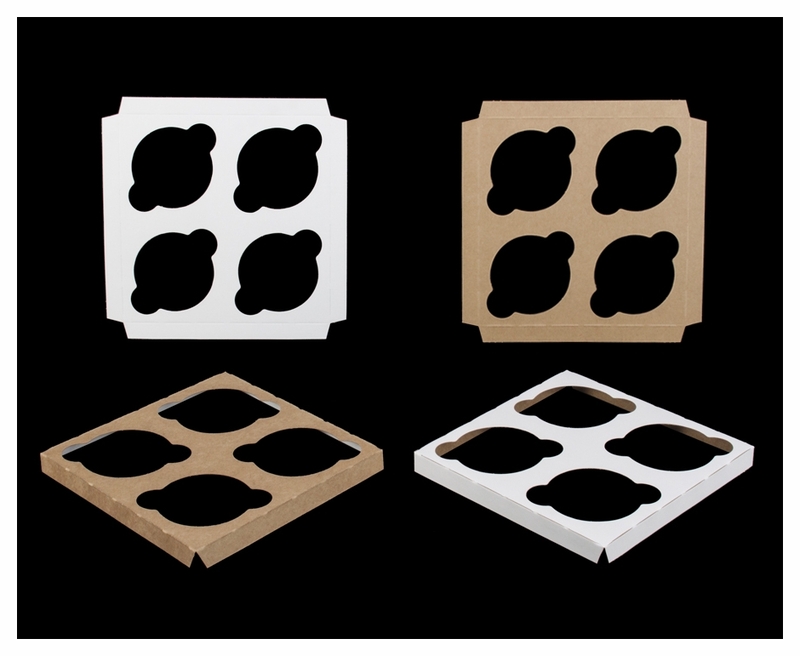 Click here to view the dimensions of all our cupcake inserts. I want to put mini cheese cakes in these boxes. Is there any way I can get a sample to see if it will work?